How often your programmers disappointed you? You spent hours to screen through hundreds of resumes and conduct interview continuously but end up selected someone turned out to be far from what you have expected. This probably leaves you wondering what went wrong? Here are few mistakes you make in hiring programmers. It is normal that employers pay more attention to candidate’s skill and knowledge, but they tend to overestimate its value. Employee’s personalities and working attitude also essential to determine whether he/she fit to your company’s culture and style. Qualities such as problem solver, teamwork and responsibility are also the elements that should be considered in recruiting a programmer. Other than skills and knowledge, the second element that employers look for is working experience. Employers overvalue experience in working for big companies and brands. Even if somebody was working for a super famous firm, it neither means that he played an important role there nor that he passed a demanding recruitment process. Therefore, employers should be careful about making judgments on this criteria unless they provide references then you can be more certain that the information you got is true. It is so time-consuming. 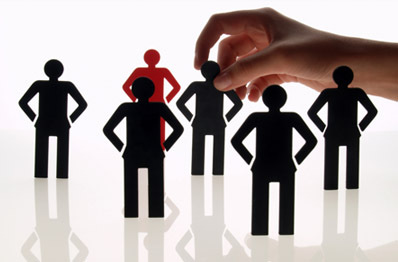 It is much wiser to select only the candidates with the highest potential for an interview to save your precious time. Interview usually means you think the candidate fit to the position after screen through the resume and you want to know more about the person. To not wasting your time, you can invite candidates to do a phone interview before face-to-face interview. This method helps you to select only the best candidates and invite them for an interview. As a programmer, skills set and knowledge are of the greatest importance, yet most of the time programmers are required to work in a team. Some of the best programmers are great at getting the job done but are extremely difficult to work with. If you are looking for programmers that will work in a team, communication skill is a must. In certain circumstances, soft skills are the ones that contribute to developing best programming results. The recruitment process is a part of a bigger puzzle. It takes long time and have to plan carefully, especially when programmers is the core of your company. Do not hire someone you think not fit to the position or culture of your company just because you need employees urgently.